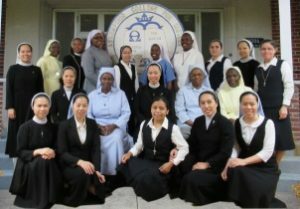 Assumption College for Sisters » Giving Thanks for GIVING TUESDAY! You blew our expectation away. Because of you and your generosity, we exceeded our goal. We are looking forward to our new commercial grade refrigerator as well as stocking it! We offer our sincere appreciation and gratitude to all who were able to participate in our GIVING TUESDAY campaign. Thank you for being part of our mission.